Home Support Product FAQ Why is my device read as Unknown? Generally it occurs when the model name cannot be recognized. Please take the following instructions to fix the issue. 1) Unplug and replug in device. 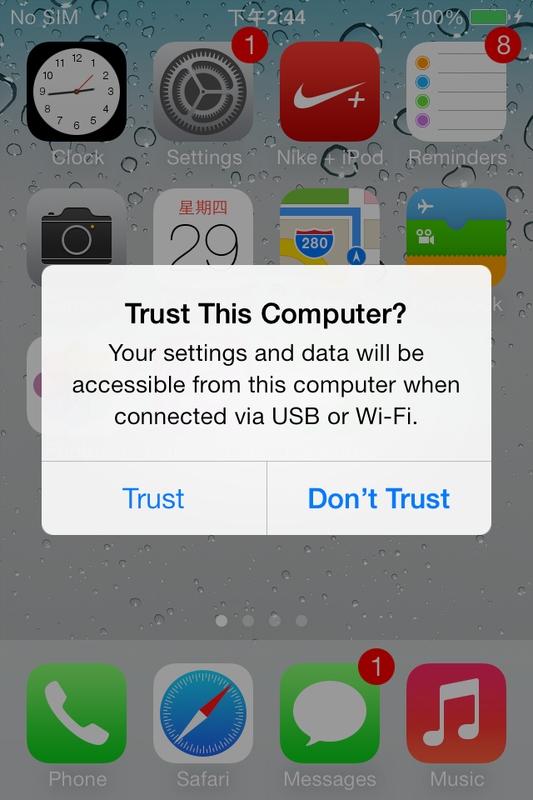 2) For functioning device, if it's the first time you connect device to this computer, click Trust, when the dialog box below appears on your device. 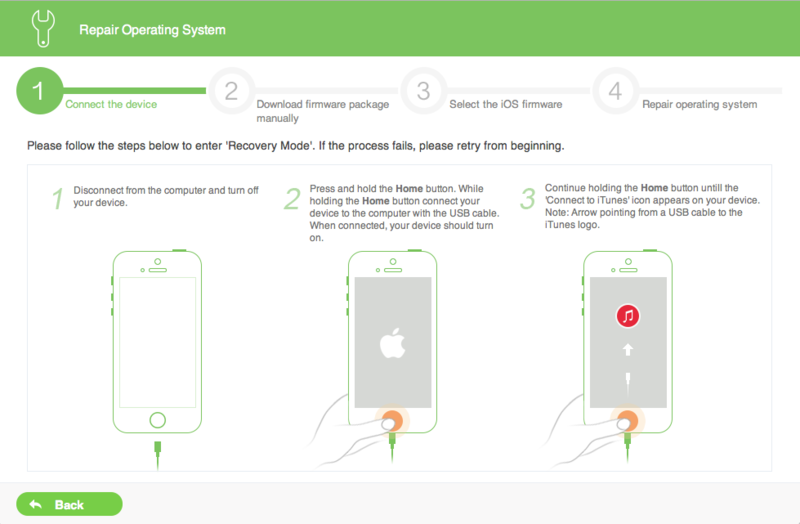 3) For malfunctioning device, please follow the 3 steps to enter "Recover Mode". a. Disconnect from the computer and power off your device. b. Press and hold the Home button, in the meantime connect the device to the computer via a USB cable. After connection, your device should be restarted automatically. c. Continue to hold the Home button until the "Connect to iTunes"icon appears on your device. Prev: Can the data be recovered from jailbroken device? Next: Can the data be recovered when forgetting locking screen passcode for iOS device?